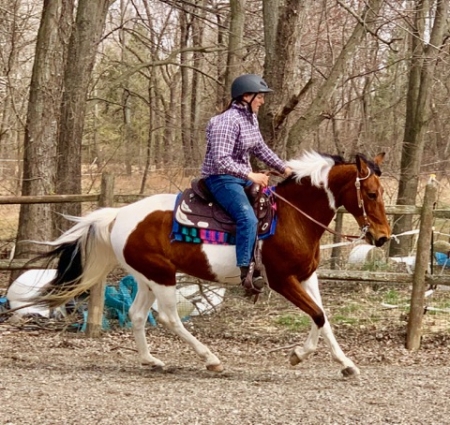 Flashy Bay Tobiano Sport Pony Mare 14.3hh 7 yrs old - Jumps, English, & Western! 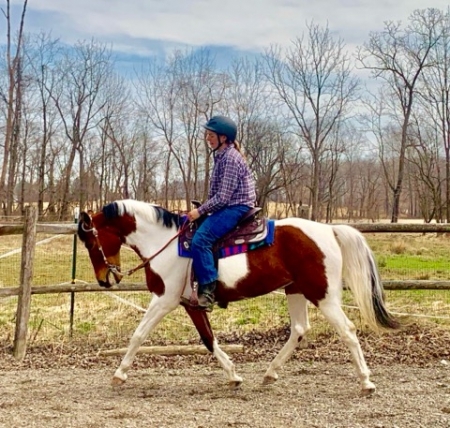 I’m offering for sale my beautiful 7 yr old 14.3hh Bay Tobiano Sport pony mare that is horse size who is 100% sound in every way! She is super broke, English & Western, Versatile as they come, well mannered, knows her cues, is VERY quiet and loves to jump! She’s a looker with the most beautiful coloring! 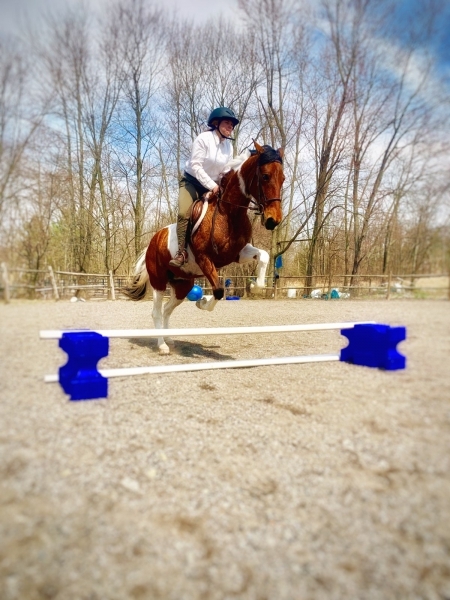 Perfect all-round horse with tons of training & experience! 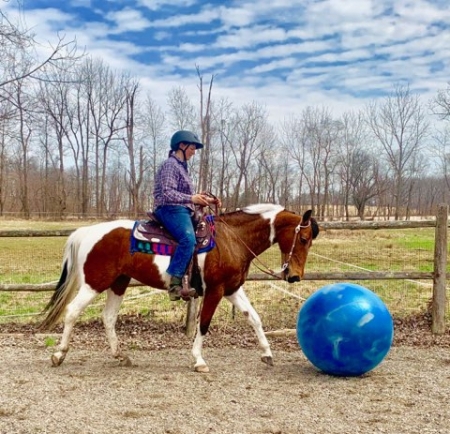 A great horse that will turn heads & is super easy and fun to ride! She is a really nice, versatile horse that is super willing, fun to ride and extremely flashy for the show ring! Perfect for a young (or old) rider! She is schooling first level dressage and has perfect lead changes on a dime. Used at camps and in a lesson program. 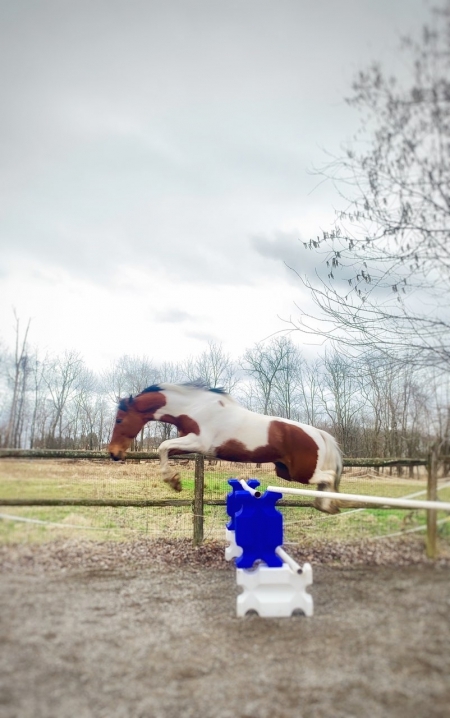 Many kids have ridden and shown her successfully jumping. Lots of blue ribbons too! She takes jumps effortlessly and is also trained all around in MOST English and Western disciplines! 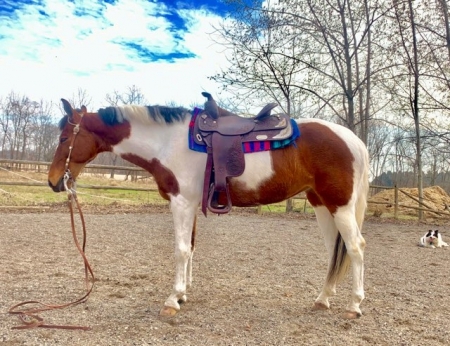 Great trail horse who is very sweet and enjoys being around people. 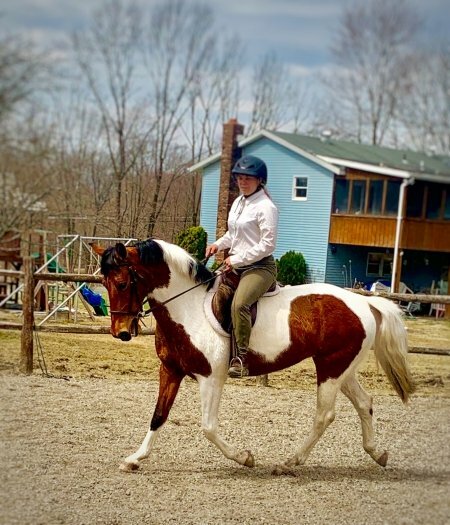 She is perfect for kids and adults and is born for the show ring! 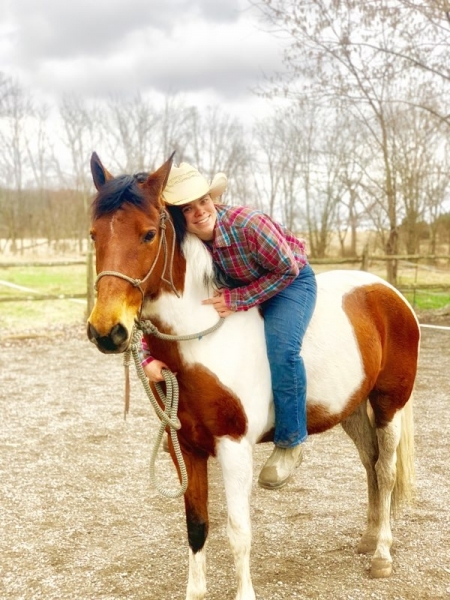 She is easy to ride and goes beautifully English or Western with great seat, leg and rein aids. Sound with No Vices! 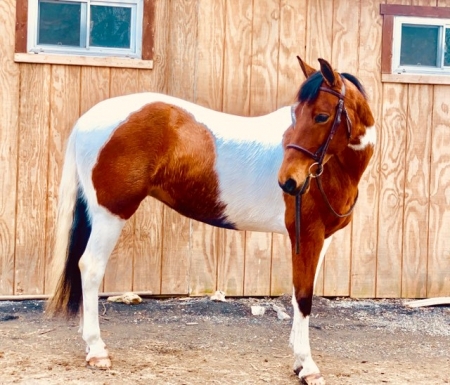 Show Jumping, Dressage, Hunter Jumper, Cross Country, nice trail horse, with her automatic flying lead changes she would be a great Gymkhana prospect too all with CoLoR! Of course, she also: Trailers, Bathes, Stands for farrier, is current on shots and worming, was seen by dentist this past summer. Well trained, and is light and responsive, frames up beautifully, and broke to be a safe and all-round horse for most riders and skill levels. She is great with trail obstacles, goes thru mud/water great and learns quickly. Has a true neck rein even bitless and great lateral movements, rollbacks, frames up at walk, trot, canter, half passes, two tracks, much more! She is a great sound-minded horse with a prefect neck rein. She also rides great with just a halter (mostly off seat)! 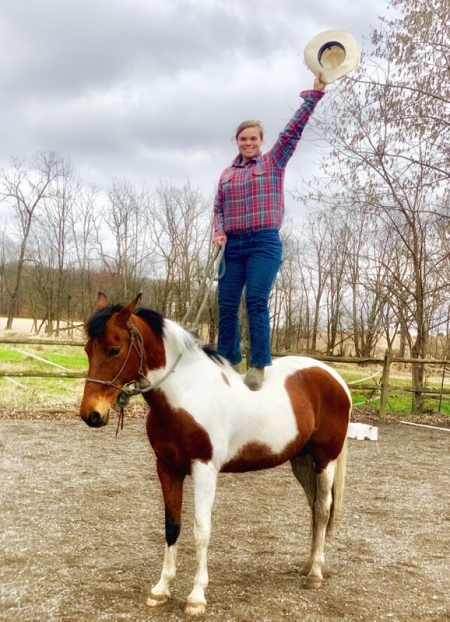 The reason I am selling her is simply because I am a Natural Horsemanship Trainer and trained a good horse into a great horse for folks like you! I got her from a girl that outgrew her and need to move on to a taller show jumper. She is ready to go to her forever home as someone’s dream horse! Sound in every way! $7,900 to the right home. Feel free to call/text 610-730-497three for more photos or to set up a time to meet her/try her out.